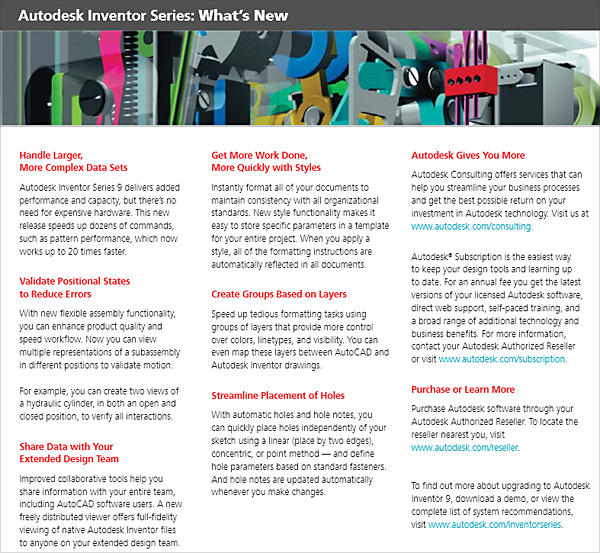 Autodesk Inventor Series provides one integrated solution for designing machinery and other complex assemblies. 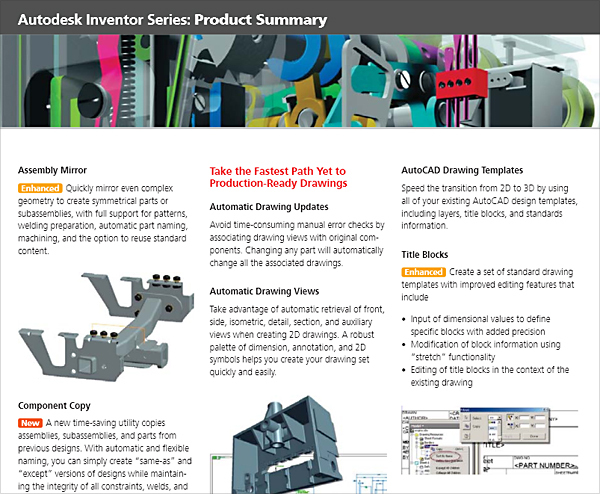 While many engineers had already migrated to 3D design for new projects, existing libraries of AutoCAD 2D drawings required support for both 2D and 3D functionality. These three data sheets include a high-level overview, a brief summary of new features, and an extended product brief. 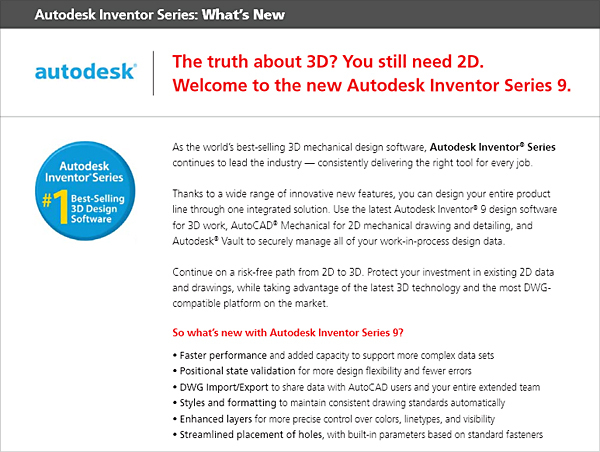 The main headline, “The truth about 3D? You still need 2D” supports a message that focuses both on new 3D modeling features and on preserving an organization’s investment in existing 2D drawings. See excerpts below, or read full copy in this PDF.